In this post I’m going to be sharing everything about starting your own personal development journey and since this is a beginner’s guide to personal development, I feel like the best place to start is by sharing what personal development is and what it isn’t. Personal development includes any activity that will help you reach your full potential and become everything you’re capable of being. Personal Development isn’t about going from broken to normal, which is how a lot of people perceive personal development. You don’t need to be broken to improve your life because personal development isn’t just a way of solving problems in your life, it’s also a way of growing and improving yourself. Personal development requires self-awareness however it’s not about judging your past or shaming yourself. It’s about improving your self-awareness and self-identity to achieve your dreams and enhance your quality of life. When starting your personal development journey it’s best that you remember not to expect immediate results. With most things, the key to success is small but consistent changes in the right direction. It’ same the with a starting a health and fitness journey or a starting a blog, for best results (in my opinion) it to take daily action. This will help you create habits and turn your journey into a lifestyle. Day-to-day you might not see any progress however you need to trust that you are becoming more self-aware and improving your self-identity one step at a time. Overtime you will notice that you are becoming a better version of yourself. 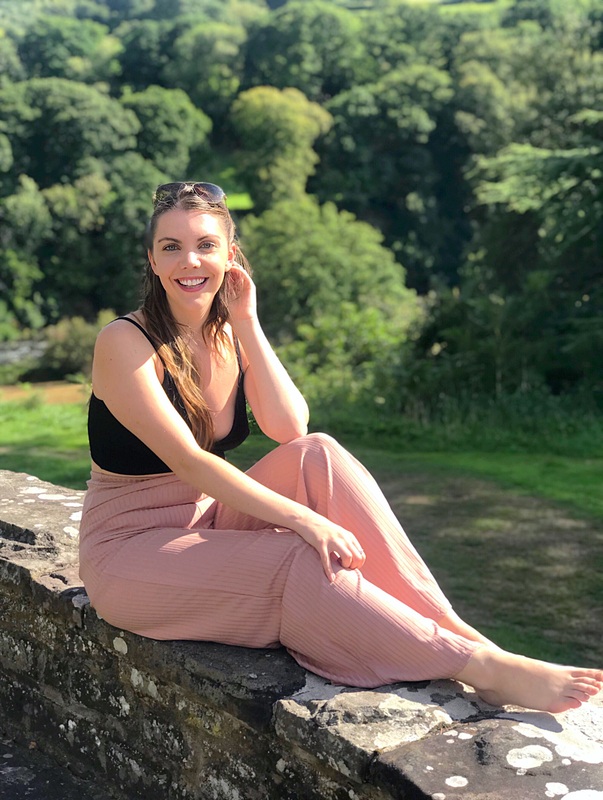 There are so many ways to do personal development and in this post I’m going to be sharing with you my top ways to start your journey. If you’re new to the world of personal development, then Podcasts are the perfect place to start. I’m obsessed with podcasts, I get so inspired when I listen to personal growth podcasts because they always fill me with new ideas, new ways of thinking and so much motivation afterwards. Listening to podcasts is such a simple, free and easy investment in your personal growth. Here are 9 Podcasts to get you started! SAM LAURA BROWN: The Perfectionism Project is a podcast sharing personal growth and life advice for perfectionists. Hosted by mindset coach and personal development blogger Sam Laura Brown, this podcast shares life lessons, relatable stories and practical advice to help ambitious women get out of their own way. BROOKE CASTILLO: The Life Coach School Podcast is your go-to resource for learning, growing, and becoming certified as a Life Coach and Weight Loss Coach. Through this podcast, you’ll hear directly from the Master Coach Brooke Castillo to help you better understand life coaching, the required skills and mindsets, and how we focus on serving the client to get them the results they seek. TIM FERRISS: Tim Ferriss is self-experimenter and bestselling author, best known for The 4-Hour Workweek, which has been translated into 40+ languages. In this show, he deconstructs world-class performers from diverse areas digging deep to find the tools, tactics, and tricks that listeners can use. JESS LIVELY: The Lively Show is a weekly podcast designed to uplift, inspire and help you move from “hustle” to alignment and flow in life and career. Episodes discuss how to apply consciousness, the law of attraction, and the science behind the subconscious in everyday life. SHAWN STEVENSON: The Model Health Show is a fun, entertaining, and enlightening look at health and fitness. World-renown author and nutritionist Shawn Stevenson breaks down complex health issues and makes them easy to understand and overcome. The insights you get here will help you transform your health and live your best life ever. KALYN NICHOLSON: Kalyn’s Coffee Talk is an upbeat and uplifting podcast to start your morning, or wind down your afternoon with, covering everything from wellness, mental health and learning to live your best life free from self-judgement and doubt. TONY ROBBINS: Tony Robbins, the number 1 Life and Business Strategist, has helped over 50 million people from 100 countries create real and lasting change in their lives. In this podcast, he shares proven strategies and tactics so you, too, can achieve massive results in your business, relationships, health and finances. MARIE FORLEO: Marie Forleo’s goal is to help you become the person you most want to be. In this show, Marie and her guests share actionable strategies for greater happiness, success, motivation, creativity, productivity, love, health, contribution and fulfilment. From business, marketing and career advice, to tackling failure, disappointment and fear, to philanthropy and doing our part to make the world a more loving, just and equitable place. RACHEL BRATHEN: Rachel Brathen, Known as Yoga Girl, is an international yoga teacher and speaker, bestselling author and serial entrepreneur who inspires millions every day. Rachel offers an even more intimate look into her life and the inspiring journey. Weekly episodes of storytelling and talks from Rachel dive into topics such as love, trust, finding balance, overcoming adversity and of course, yoga and well-being. Another entry point to the personal development world is journaling. I’ve found journaling to be a great tool for self-reflection and self-discovery. It helps you become a lot more self-aware and find solutions to problems that you haven’t been able to think through before. My favourite type of journaling exercise is morning pages. If you haven’t heard of morning pages before, they are basically three pages of writing done every morning. The idea is to allow your pages to be messy as you write down anything and everything which you’re feeling and thinking. Doing this allows your mind to become a lot clearer and for you to be much more focused. Another entry point in personal development is affirmations. Affirmations are a simple yet powerful way to help you train your brain to see possibilities you’ve never seen before and create beliefs that will help you achieve your goals and stop you from self-sabotaging. Affirmations can change obstructive behaviour and habits. They can help undo the damage caused by negative statements which we have repeatedly told ourselves in the past. The repetition of positive affirmations will keep you motivated and focused on your goals. They can influence the way you think and behave. Think about what you tell yourself on a regular basis, is it mainly positive or negative? Affirmations can change obstructive behaviour and habits. They can help undo the damage caused by negative statements which we have we repeatedly heard or told ourselves in the past. Another way to dive head first into personal development is by reading self-help books. Reading is an incredible way to learn more about yourself and become the best version of yourself that you can be, but you must make sure you actually apply what you learn from books once you’ve finished reading them! If you’re new to the world of personal development I recommend that you first choose one area of your life you want to focus on and improve. Focus on this area for the next 30-days and use the five personal development methods mentioned in this guide to develop in that one area. The reason I recommend just focusing on one area for the first 30-days is so you don’t get overwhelmed and fall into the all-or-nothing mentality. Personal development is a journey, day-by-day you won’t see results, but if you look back after each month and each year you will see huge changes in yourself and in your life. By focusing on just one area of your life you will realise that how you do one thing is how you do everything, and if you’re showing up for one area of your life then the other areas of your life will begin to improve as well, without you focusing on them yet. If you’re struggling to think of an area to focus on, take a look at the below list. How much time should you spend on personal development every day? If you’re new to the personal development world, then I recommend spending a minimum of 30-minutes every day on your self-development. For example, you could spend 10-minutes on journaling and writing your daily affirmation, followed by 20-minute listening to a podcast or reading a book. If you’ve enjoyed this post then make sure you download your free beginners guide to personal development. Thanks so much for writing this post. It’s a great resource for understanding what personal development is all about and how we can begin the journey. I have been doing a similar thing, blogging while improving myself, but I still have a lot to learn and the way you explained it in such systematic way gave me a far better understanding of the whole picture!